The HANOR Family, and it’s sister companies, are committed to the proper and ethical treatment of animals. Our Animal Care Program focuses on animal welfare, utilizing practices that ensure the safe treatment and handling of all animals in our care. At HANOR, we have a moral and ethical obligation to the care and well-being of our animals. All of our employees who interact with our animals strictly follow state and federal regulations, and we continue to invest in and implement care practices to ensure daily care needs of the animals are met. We execute a zero tolerance policy for animal abuse, mistreatment, or neglect. We are dedicated to animal welfare at all levels of products. In fact, the success of our operation is dependent on the well-being of our animals. Thorough training for each employee is an important component of our Animal Care Program and ensures each individual has clear direction on how to best care for our animals every day. Our farms receive feedback based on annual internal site assessments and external third party audits. Each of these programs, designed by the National Pork Board, work to promote pork quality and safety and provide the framework for animal well-being and good production practices. 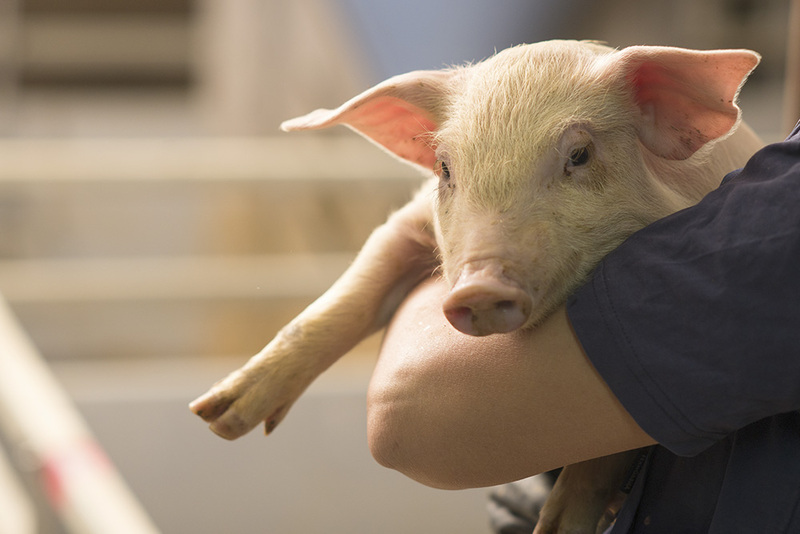 All members of our team – from facility owners to animal caretakers to drivers who transport hogs – have a responsibility to do his or her part to demonstrate a commitment to the responsible and ethical treatment of the animals in our care. ©2017 The HANOR Family of Companies. All Rights Reserved. Equal Opportunity Employer.